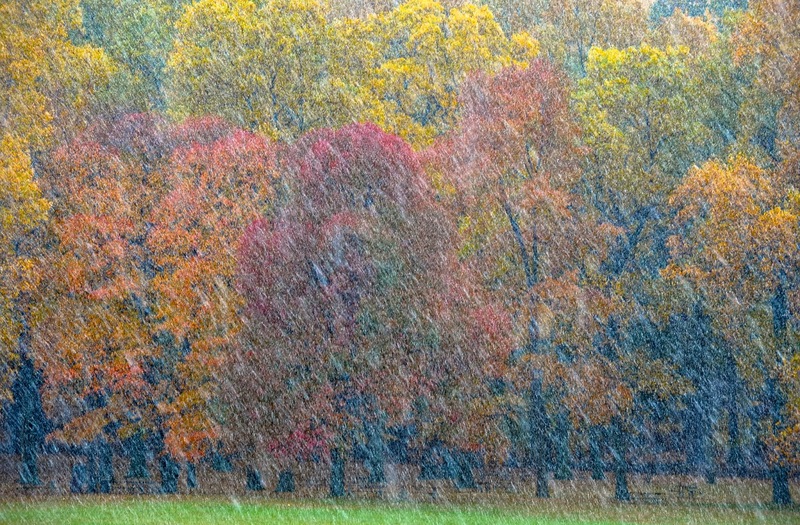 Snow showers in Valley Forge, Pa. 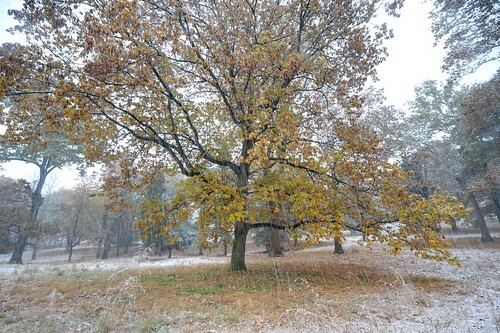 The dark background gives the contrast needed for the snow to stand out. 1/25 @ f7.0, ISO 400. What is your first thought when you hear a forecast calling for snow? If your thoughts turn to photography, then this blog post is for you. And if you are still with me, then hopefully the five suggestions below will help you capture some unique photographs. This post is not about capturing a beautiful snow scene after the snow has stopped, it's all about capturing the scene while it is still snowing. In fact, the heavier the snow, the better the effect will be and you will come away with something different and different is a good thing when it comes to photography. Slow shutter speed caused the snow to streak. 1/5 @ f2.8, ISO 200. 1. Before anything, be sure to protect yourself and your gear. No photograph is worth destroying your camera gear or putting yourself in harms way. Most cameras today are weather sealed, but if it is really coming down you might want to protect gear with a rain jacket. Something like a Kata Rain Cover on the higher priced side or an OP/TECH Rainsleeve (2-Pack) on the lower priced end will work. Of course so will a large plastic sandwich bag. 2. 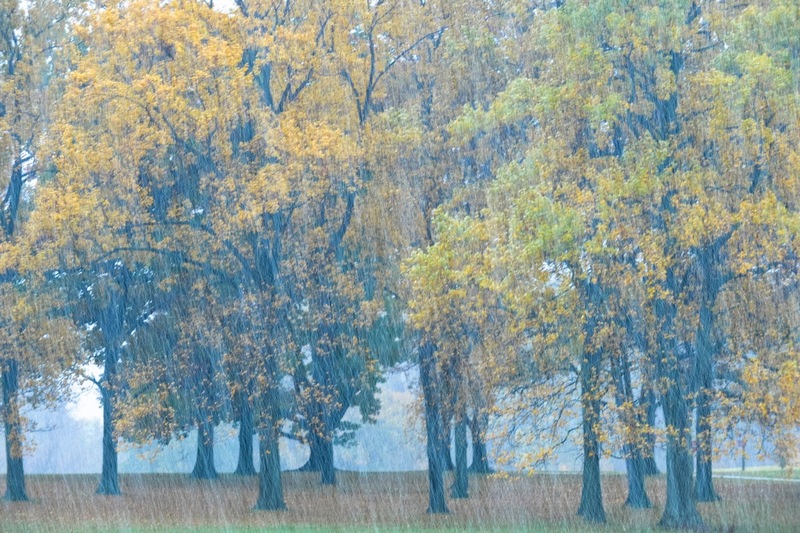 Snow, especially snow showers will play havoc with your focus so set your camera to manual focus. 3. Select a scene with a dark background. The whole point of photographing while it is still snowing is so that the snow will be visible in the photograph and a dark background will give you the contrast needed for the snow to be a prominent feature of the photograph. Same scene as above but the faster shutter speed gives a very different look. 1/60 @ f2.8, ISO 200. 4. Choose the correct shutter speed to achieve the effect you want. 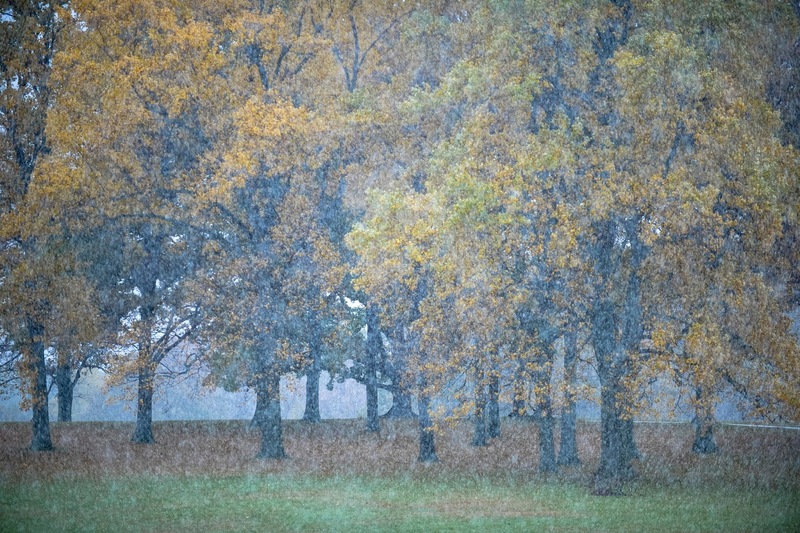 A slow shutter speed will cause the snow to streak and give the scene a soft painterly effect. Too slow though and you might lose the snow altogether. Use a fast shutter speed to freeze the snowflakes and you will achieve a whole new effect, almost like adding a noise filter. Of course, I'm not telling you anything you don't know, however, the point is to experiment and find just the right look. While the slow shutter speed adds nice streaking snow, it is not readily apparent because of the lighter background. 1/30 @ f5.6, ISO 200. 5. Be aware of your depth of field and how it affects the scene. A shallow depth of field will enhance the effect of your shutter speed selection. Be careful using a deep depth of field as you might with most landscape scenes since in this case having everything in sharp focus may actually block the scene, especially in heavy snow. So instead of just heading to the grocery store for bread and milk the next time the forecast calls for snow, get your camera gear ready and plan on heading to your favorite landscape or urban location. After that, experiment and let your creativeness come through.